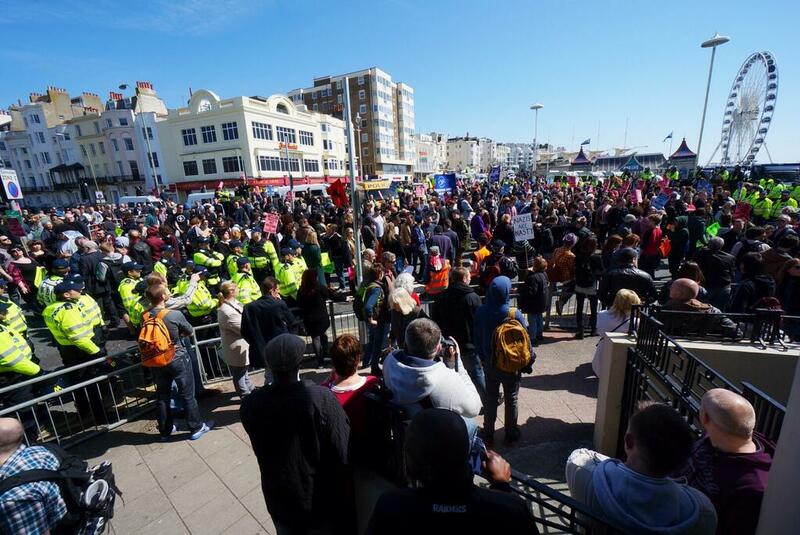 A few pictures and a video showing the huge and varied opposition shown to fascist scum who were pretending to march under the banner of St George in Brighton today. 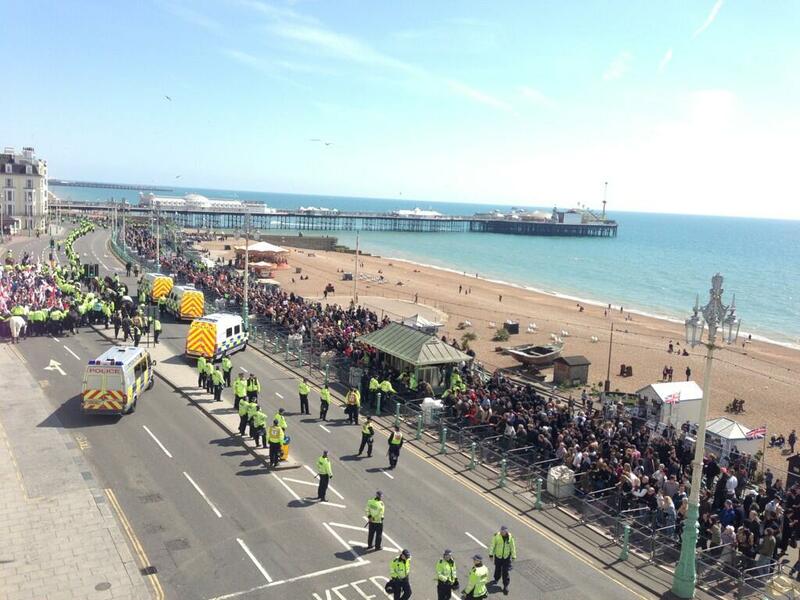 Links to independent reports from the day at the foot of the post. 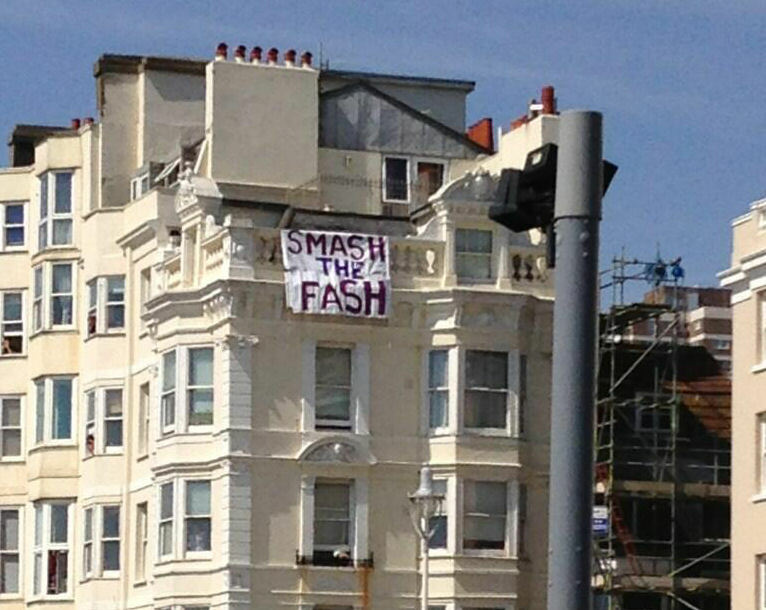 This entry was posted on Sunday, April 21st, 2013 at 3:32 pm	and tagged with AFA Ireland, AFN, Anti Fascist Network, Anti-fascists, Antifa, April 21st, BNP, Brighton, Brighton anti-fascists, Casuals United, EDL, EDLNews, English Defence League, Fascists, Indymedia uk, Maletesta's blog, March for england, MFE, Nazis, NEI, NF, NWI, opposition, Paul Pitt, racist hate campaign, Racists, Schnews, Shane 'Diddyman' Calvert, UKIP, vice.com and posted in Uncategorized. You can follow any responses to this entry through the RSS 2.0 feed.